Made from colorbond steel, Colourfence is 130mph gustproof and is guaranteed not to rot, warp, fade or peel for a minimum of 25 years. 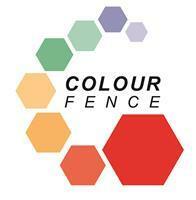 Colourfence looks the same on both sides and is available in four colours, Brown, Green, Cream and Blue. All the colours can be mixed and matched to give your garden that extra special bespoke finish. Colourfence Teesside is a family run business and all installations are carried out by Colourfence accredited installers.